One of the most interesting presenters in this session was Stefan Burkat from the International Center for Tropical Agriculture (CIAT). 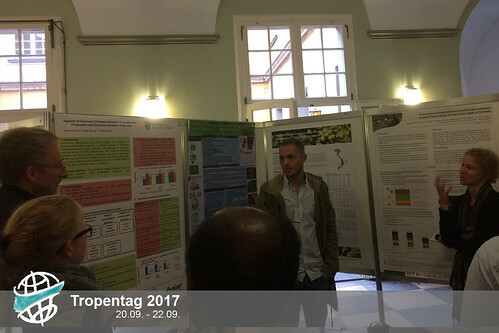 He presented five posters in which he was involved. He had analyzed with different approaches the value chain of cattle, beef and cocoa in Columbia. His work promises to bring benefits to farmers in Columbia. 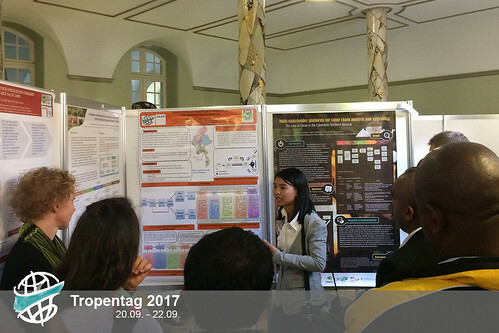 To be honest, it is definitely challenging to discuss such a broad topic as value chains in the short period of time given for poster presentations. However, hopefully it still had value, as each presenter could get feedback from and further discuss with fellow experts. The sessions closed the second day. We have now only one day left. And I am looking forward to finding out which 5 posters will win the ECOLAND poster awards granted on the closing ceremony on Friday-maybe these will be one of them!